An eLearning programme for undergraduate and practising pharmacists, which aims to improve prescribing competency and safety. Consisting of 40 modules, each module takes around 30 – 60 minutes to complete. Pharmacy SCRIPT is an eLearning programme, which aims to support effective and appropriate prescribing practice. It has been identified as a valuable educational resource for undergraduate and practising pharmacists. The modules within this programme are an amalgamation of the modules available to prescribers in our Medicine and Surgery, Paediatrics, and General Practice variants. It is important that pharmacists understand what prescribers are taught about prescribing and therapeutics so that they can support colleagues with their development in this area. In addition, this suite of modules offers an excellent opportunity for Continuing Professional Development (CPD). Each module takes around 30 – 60 minutes to complete. 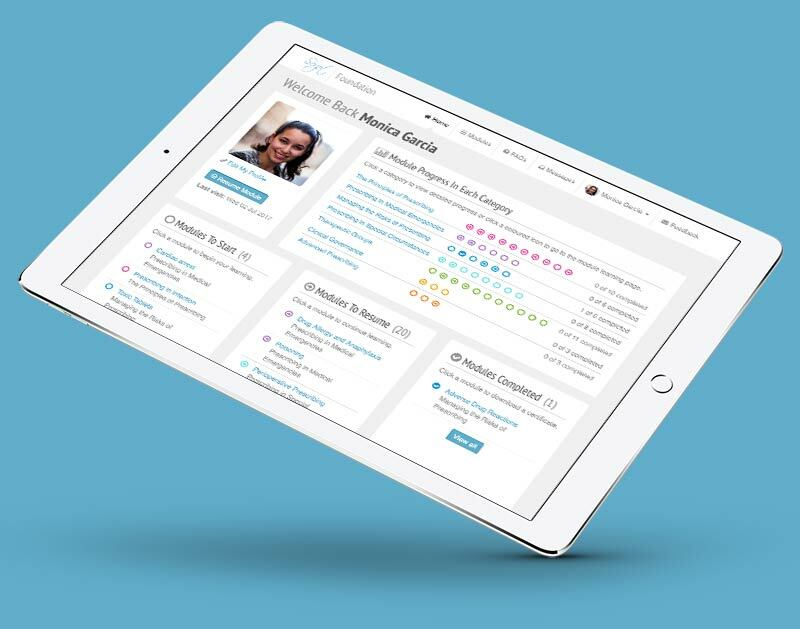 The modules have been split into four categories (Principles of Prescribing, Therapeutic Groups, Paediatrics and General Practice) so that the most relevant modules can be identified for your sector of practice. All course materials have been authored by a team of expert healthcare professionals, and are regularly reviewed and updated. SCRIPT enhances pharmacists’ knowledge and confidence in supporting prescribing practice to improve patient outcomes. SCRIPT aligns with guidance on safe prescribing and all modules are authored and regularly reviewed by expert healthcare professionals.